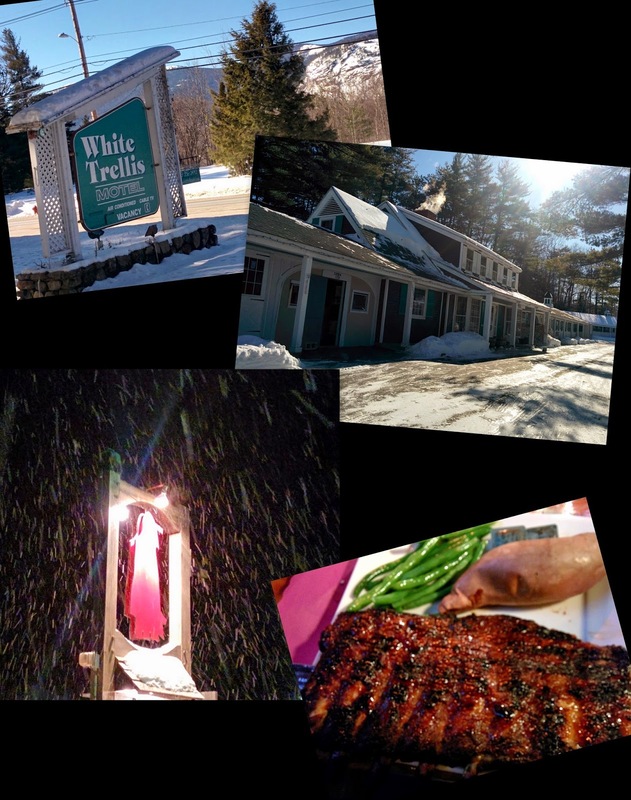 We’re back in the White Mountains for a long relaxing weekend. 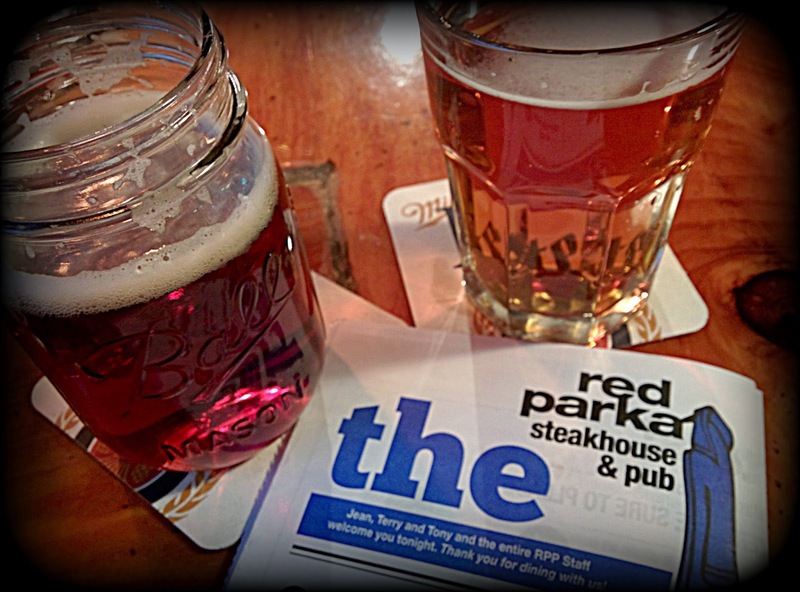 We got in early enough that our first stop before checking in to our favorite motel was dinner at one of our favorite eating spots in the area - The Red Parka Pub. 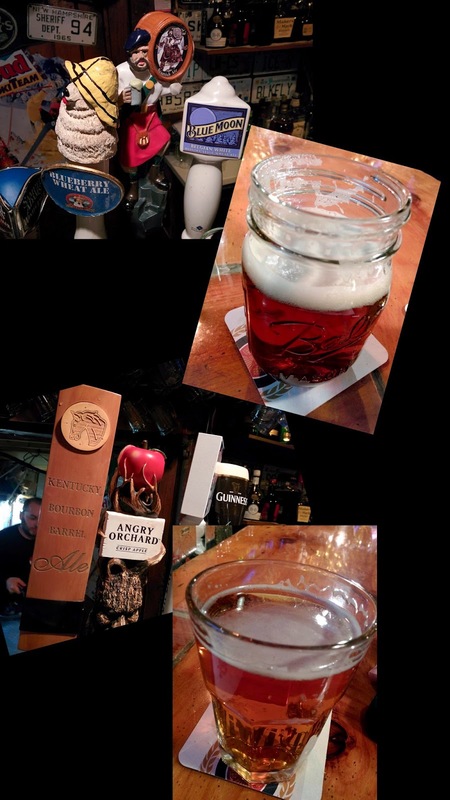 As luck would have it, there were a couple new to me beers on tap. I ordered up a rack of ribs and a glass of brew. Time to relax after a long drive. Aaaah . . .
We went with what Pro Zac (the bartender) recommended - a bourbon ale and a Scotch ale ; hence, one bourbon, one Scotch, two beers. Scottish Ale (6.30% ABV) Gritty McDuff's. It pours a rich, clear amber with a floof of bright, white clingy foam. The aroma is wonderful - malt and yeast and a whisper of caramel. The taste starts out with the sweet flavors of caramel and butterscotch. A malty graininess levels out the sweetness and then the hops wash in with a gentle bitterness that balances out the brew. The finish is a bit of lingering sweetness. The mouth feel is medium a good carbonation. Kentucky Bourbon Barrel Ale (8.19% ABV) is a English Strong Ale brewed by Alltech's Lexington Brewing and Distilling. It pours clear honey amber color with a thin head. The aroma is bourbon, vanilla, and caramel. The taste is pleasantly sweet with mild bourbon characteristics. A nice bittering effect balances out the sweetness. This is a gentle drinking beer. The bourbon is agreeable and not the least bit overwhelming. Enjoyable and tasty. The mouth feel was medium and nicely carbonated.